Please join us in Cincinnati for an afternoon patient conference with expert presentations and a question and answer session on adult and pediatric cerebral cavernous angioma. Then, follow us to Angioma Alliance Night at the Cincinnati Reds where we'll raise awareness of cavernous angioma. You can buy your baseball game tickets now or at the family conference ($15/each). You can pre-order your shirt when you register here. 3:30 - 4:15 Question and Answer Panel: Tentative participants include Todd Abruzzo, MD (Interventional Neuroradiologist), Sudhakar Vadivelu, DO (Endovascular Neurosurgeon), Anna Byars, MD (Neurologist, Neuropsychology), Adrienne Hammill, MD (Hematologist, Vascular Anomaly), Lori Luchtman-Jones, MD (Hematologist, Thrombosis), John Michael Taylor, MD (Neurologist, Stroke Specialist), Andrea Paulson, MD (Physiatrist, Physical Medicine and Rehabilitation), and Connie Lee, Psy.D., Angioma Alliance President and CEO. We are not planning formal childcare for the conference, but please let us know if this is a barrier for your attendance. There are local families who may be able help with your kids during the conference. If you are coming in from out of town, a group of us will be staying at the Millennium Hotel near the stadium. We don't have a room block - please make your reservations as soon as possible at https://www.millenniumhotels.com/en/cincinnati/millennium-hotel-cincinnati/ Tip: joining their loyalty club gets you an extra discount. After the patient conference, we are planning a get together at the Great American Ballpark. 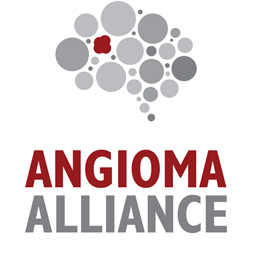 Angioma Alliance will be featured in the pre-game show, on the field and Jumbotron. Then, we'll hang out together watching the Reds and Yankees face off. Can't attend but want to support us? Find our event donation page at https://www.crowdrise.com/reds-event-benefiting-angioma-alliancec/fundraiser/angiomaalliance.